Shearman & Sterling LLP is a multinational law firm headquartered in New York City, United States. The firm's lawyers come from some 80 countries, speak more than 60 languages and practice US, English, EU, French, German, Italian, Hong Kong, OHADA and Saudi law, as well as Dubai International Financial Centre law and Abu Dhabi Global Market law. Nearly one-half of the firm's lawyers practice outside the United States. GLG (Gerson Lehrman Group) is transforming the way the world's top professionals share expertise and learn. MSCI Inc. (formerly Morgan Stanley Capital International and MSCI Barra), is an Global provider of equity, fixed income, hedge fund stock market indexes, and multi-asset portfolio analysis tools. It publishes the MSCI BRIC, MSCI World and MSCI EAFE Indexes. The company is currently headquartered at 7 World Trade Center in Manhattan, New York City, U.S.
Open Systems Technologies | A staffing solutions company. No two projects are the same and neither are our solutions. Founded in 1969, we offer a range of equity and fixed income investment management strategies across distribution channels. Weil, Gotshal & Manges LLP, headquartered in New York City, is an American international law firm. Skadden, Arps, Slate, Meagher & Flom LLP and Affiliates, commonly known as Skadden or sometimes Skadden Arps, is an international law firm based in New York City. Skadden is one of the highest-grossing law firms in the world, one of the largest in the United States (by number of lawyers), and is widely considered to be one of the most esteemed; the firm ranks third on the Vault Law 100 list of Most Prestigious Law Firms, and has maintained a position near the top of the list since ranking began in 2007. Forbes magazine has called Skadden "Wall Street's most powerful law firm." The firm has been ranked "America's Best Corporate Law Firm" in Corporate Board Member's survey of public company directors every year since 2001. Hudson (NASDAQ: HSON) offers highly specialized professional recruitment, recruitment outsourcing, talent management and related staffing services and solutions. Turner Construction Company is an American construction company. It is one of the largest construction management companies in the United States of America, with a construction volume of $10 billion in 2014. It is a subsidiary of the German company Hochtief. Mercer is the world's largest human resources consulting firm. The Interpublic Group of Companies, Inc. The company consists of three major networks: McCann Worldgroup; Lowe and Partners; and FCB. PricewaterhouseCoopers LLP offers auditing, accounting, and assurance services. The firm provides IFRS reporting, valuation, human resources, accounting advisory, and forensic services. It offers business compliance, internal audit, IT and project assurance, global tax, tax accounting, economics and statistics, and transfer pricing services. The firm also provides consulting services for analytics, finance, operations, risk management, benchmarking, and security. It caters to automotive, hospitality and leisure, entertainment and media, technology, financial services, real estate, transportation and logistics, and retail sectors. The firm was formerly known as Price, Waterhouse & Co. and changed its name to PricewaterhouseCoopers LLP in 1998. PricewaterhouseCoopers LLP was founded in 1849 and is based in New York, New York. PricewaterhouseCoopers LLP operates as a subsidiary of PricewaterhouseCoopers International Limited. New York Community Bancorp, Inc. (NYCB) is a bank headquartered in Westbury, New York, with 225 branches in New York, New Jersey, Ohio, Florida, and Arizona. NYCB is on the list of largest banks in the United States. Suffolk Law is the East End's Premier Law Firm. Our law firm has expanded to become the largest law firm in eastern Suffolk County, with a 55 person staff. At The Kensington Company we have expanded the traditional business brokerage firm model to offer our clients comprehensive services during their buying and selling process, whether for a stand alone business or a franchise or even multiple franchises. At Sutherland we combine design thinking, domain expertise, and a deep understanding of business processes to get to the simplified solutions that work for you and your customers. Kroll is a corporate investigations and risk consulting firm based in Midtown Manhattan, New York City. It was established in 1972. Improving payment accuracy & reducing the cost of care for payers. Jack Morton Worldwide is an American multinational brand experience agency. Sullivan & Cromwell LLP is an international law firm headquartered in New York City. It has gained renown for its business and commercial law practices and its impact on international affairs. Debevoise & Plimpton LLP is an international law firm based in New York City. The Institute of Electrical and Electronics Engineers is a professional association with its corporate office in New York City and its operations center in Piscataway, New Jersey. Our goal at IntegraMed Fertility helps practices grow faster and more profitably and provide couples seeking fertility treatment the best chance of success at one of our Attain Fertility Network clinics. Computer Task Group, Incorporated (commonly referred to as CTG) is an American multinational company headquartered in Buffalo, New York, that provides information technology staffing and solutions. Welocalize delivers content solutions for translation, localization, adaptation, and machine automation to enable global brands and companies to reach, grow, and engage with international audiences. Schulte Roth & Zabel, LLP (often shortened to "SRZ") is a full service law firm with offices in New York, Washington, D.C., and London. CohnReznick LLP is a national professional services firm headquartered in New York, NY. USI is a leader in insurance brokerage and consulting in P&C, employee benefits, personal risk services, retirement, program and specialty solutions. Covenant House is the largest privately funded agency in the Americas providing shelter, food, immediate crisis care, and an array of other services to homeless and runaway youth. In addition to basic needs, Covenant House provides care to homeless youth aged 14-20 (certain locations care for youth as young as 13 & adults as old as 24), designed to transition them into an independent adulthood free from the risk of future homelessness. Covenant House offers services including healthcare, educational support/GED preparation/college scholarships, job readiness and skills training programs, drug abuse treatment and prevention programs, legal services, mental health services, mother/child programs, transitional living programs, street outreach and aftercare. From financial planning to investments, we provide comprehensive financial services in Corning, NY at John G. Ullman & Associates. Visit online for more. Angelo Gordon & Company is an American alternative investment manager founded in November 1988 by John M.
Wachtell, Lipton, Rosen & Katz is a law firm which operates out of a single office in New York City. The firm is known for business law, regularly handling the largest and most complex transactions. The firm is also noted for having the highest profit per partner of any law firm in the United States. Vitech is a leading provider of administration software for insurance, retirement and investments. Human Rights Watch (HRW) is an international non-governmental organization that conducts research and advocacy on human rights. HRW is headquartered in New York City with offices in Amsterdam, Beirut, Berlin, Brussels, Chicago, Geneva, Johannesburg, London, Los Angeles, Moscow, Nairobi, Seoul, Paris, San Francisco, Sydney, Tokyo, Toronto, Washington, D.C., and Zürich. The group pressures governments, policy makers and human rights abusers to denounce abuse and respect human rights, and the group often works on behalf of refugees, children, migrants and political prisoners. Nassau BOCES provides cost-effective shared services for 56 school districts in Nassau County, Long Island. There are dozens of programs to expand educational opportunity for students and adults. Davis Polk & Wardwell LLP, known as Davis Polk, is an international law firm headquartered in New York City with 961 attorneys. 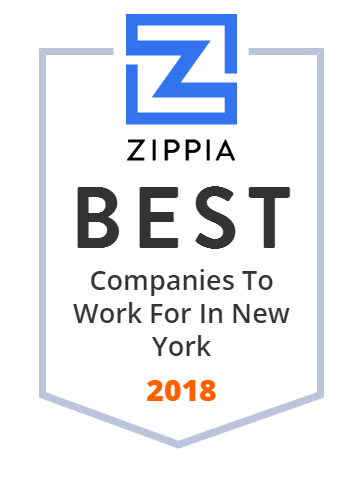 It is consistently ranked as one of the most prestigious law firms in the world and as one of New York's most powerful law firms. As of July 2018, starting salary for first-year associates was $190,000. DDS is a Preferred Provider Organization (PPO) with over 17 years experience in providing administrative services for self-insured group dental plans. Corporate Images provides promotional products, corporate gifts, custom screenprinted and embroidered apparel and engraved awards and trophies to promote your business. Learn more about our powerful brands and our audience of over 2 million engaged professionals in the financial, technology and healthcare sectors. MoMA plays a major role in developing and collecting modernist art, and is often identified as one of the largest and most influential museums of modern art in the world. Alexander Central School District serves students and is located in Alexander, NY. Cadwalader, Wickersham & Taft LLP is New York City's oldest law firm and one of the oldest continuously operating legal practices in the United States. Attorney John Wells founded the practice in 1792. Cadwalader's Lower Manhattan headquarters is one of five offices in three countries. At the end of 2014, the firm had approximately 400 attorneys and was ranked by The American Lawyer as one of the top 100 American law firms by revenue.